Waiting for the results of medical tests can be stressful. If your pet’s preventive care exam reveals any issues or concerns, our in-house diagnostic equipment helps us make an accurate diagnosis quickly, so your pet can begin treatment. Having a lab in-house means you don’t have to wait; we do the testing here, giving you and your pet results in minutes rather than days on most tests. It also means we can offer more comprehensive geriatric and pre-surgical screenings, and it’s easier to treat sick pets more quickly. 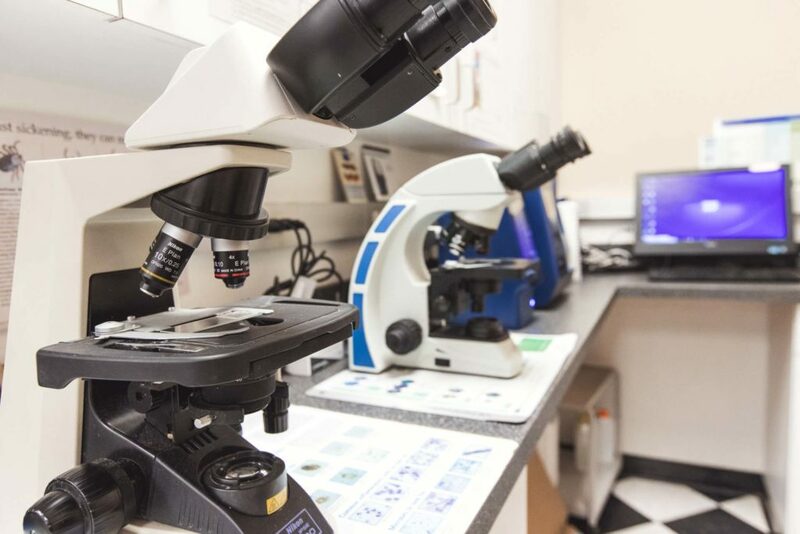 Here at Central Pet Care, we offer a wide range of pet diagnostic services in our full in-house lab. This helps us save time so we can focus on the important business of keeping your pet healthy. We also offer diagnostic imaging technology in the form of digital X-rays and ultrasound to examine your pet internally.